The boys in "The Chats" absolutely smashed their performance. Not to mention "The Dunts" also playing a blinder. Great venue. Good vibes. Peace. SWG3, good venue. Hats off to the security team, firm but fair, with a smile on their faces as they gathered the crowd-surfers and beer and bins!! Spoiled only slightly by the bar prices, but hey ho, that's rip-off Britain. Go see The Chats!!! 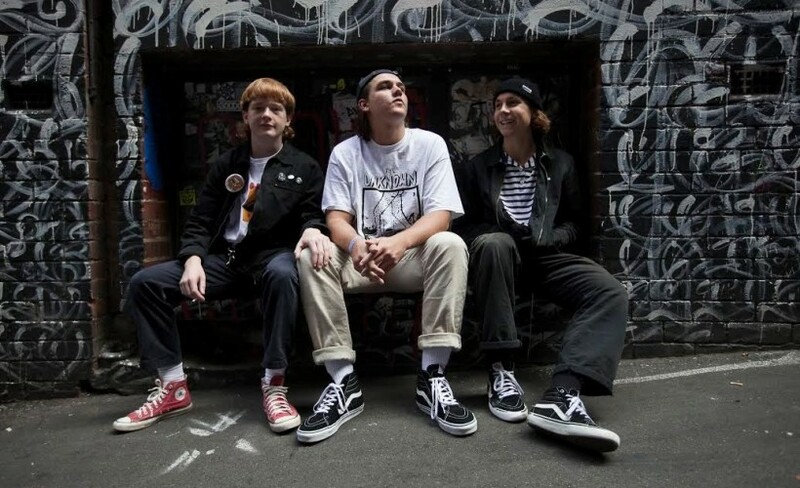 The Chats are a Sunshine Coast pub-punk shed rock band. They began playing music in high school, and they released their debut self-titled EP a month away from graduating. Since then, The Chats have had a viral hit with the music video for their song "Smoko" racking in over a million views online. The Chats are touring with Australian punk legends Cosmic Psychos, and they aren't slowing down anytime soon. Sound pretty damn exciting right? Well here is your chance to see them! Touring around the UK in Autumn, you need to get down to The Flapper at Birmingham, The Priory at Glasgow, The Dome in London and Brighton’s Latest Music Bar during October 2018. You need to get your hands on The Chats tickets before they all get taken. Did you know gig ticket orders can be placed with Gigantic using your tablet, computer or smartphone 24/7 either home or away? The Chats tickets will become available at 10:00 on Friday 20th of July. You can make yourself ready for their release by setting a personal reminder to arrive to you via text message or email with Gigantic. As there are limits on the amounts of The Chats concert tickets being made available, you will have to act fast and ensure you book yours before they are all snatched up. Gigantic offers you excellent customer service when selecting from our huge range of essential gig tickets, so you know we are the right place to come whenever you are planning for your big night.